McLaughlin Family Farms is a small boutique breeder. Our New Zealand Red Devon beeves are from organic stock and have been rotationally grazed on organically managed pastures. Our breeding stock over-winter (this IS Wisconsin after all) on organic hay grown in fields that have not had pesticides or chemical fertilizers on them since 2011. We manage our own hayfields because our promise to deliver true grass-fed-beef is too important to us to trust another farmer's hands! 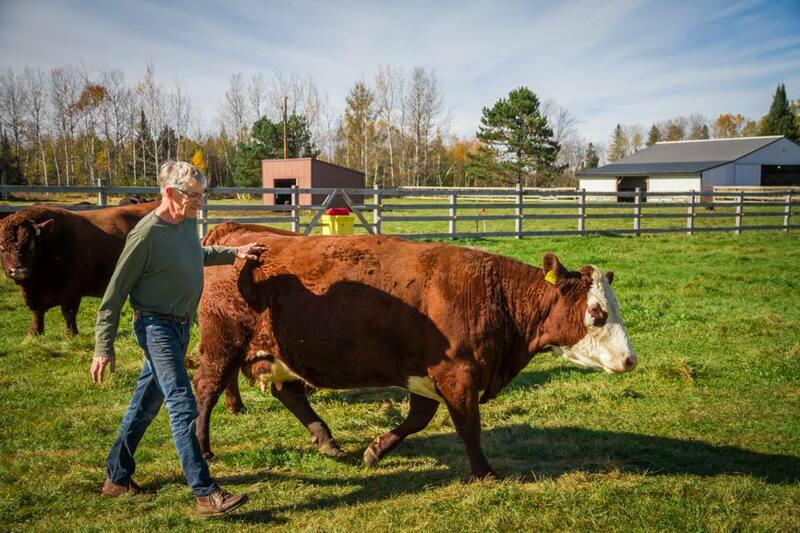 Owner and operator, Jim, ensures humane treatment of each critter and will always provide the best possible care so we have happy cows! Happy Beeves come from Monico! A HALF BEEF provides twice the beef of a quarter beef. Cuts may vary. Steaks are approximately 1.5 inches thick and Roasts are 2-3 pounds. There is a $400.00 down payment is required to reserve a quarter and $800.00 deposit for a half beef. ​All our beef is vacuumed packed, weighed and labeled! Easy pick-up or delivery arrangements available for all of the northwoods.